Founder & CEO, EdGE Networks, Arjun Pratap is a commerce graduate from St. Joseph’s College of Commerce (Bangalore), after which he completed his post-graduate studies in Information Systems and International Business, from The University of Sydney, Australia. Arjun started his career journey working with a start-up in Sydney, and that sowed the seeds of entrepreneurship in him. Subsequently, he worked with SpeedERA Networks, Akamai Technologies, where he was responsible for building their India and international businesses. Later on, he moved to Dexler Information Solutions, where he headed the sales function to provide strategic direction in building the company. EdGE Networks is all set to expand its footprints in the global market through our UK expansion in the next few months. The company caters to a wide array of clients including Wipro, HCL, Virtusa and more. At EdGE, AI coupled with Data Science and Analytics forms the very base of its product offerings. In the meantime, Arjun used to play golf. However, now he does that once in two months with his buddies. Currently, he prefers to spend most of his free time with my kids and wife. 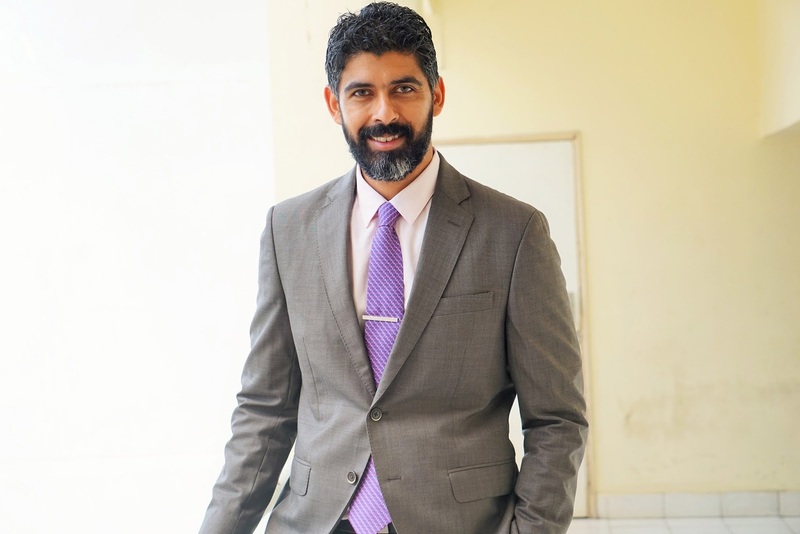 In an exclusive email interaction with The Motiverge; Arjun Pratap, Founder & CEO, EdGE Networks tells more about the venture and future plans. 1. Tell us more about your entrepreneurial venture. When was it established? I started my entrepreneurial journey with a digital learning platform to aid in creating industry ready and employable youngsters. I always felt that I have a social responsibility and must return significant value back to the society. But unfortunately, due to operational issues, I failed at my maiden venture. It was during my first venture that I realized there was tremendous need and scope for next-gen HR technology solutions that could help organizations build future-ready workforces. Looking at the rapid pace of change taking place in India and the world, it became clear to me that HR technology powered by Artificial Intelligence (AI), Data Science and Machine Learning would be best route to enable workforce transformation. AI coupled with analytics was gaining ground within the HR domain and the time was ripe to build HR solutions for large enterprises looking to take their workforce to the next level. From talent acquisition and workforce optimisation to workforce transformation, AI can act as a strategic enabler for HR. In the talent acquisition space, AI is bringing about a sea change in the speed, accuracy and timeliness of delivery. In short, the C-suite had begun to take notice and was asking HR to explore and evaluate HR technology seriously. It was with these thoughts and against the backdrop of the aforementioned drivers that I founded EdGE Networks in 2012. This led to building HR technology solutions, backed by Artificial Intelligence and Data Science that solve the toughest workforce planning and optimization, talent acquisition and talent transformation challenges faced by organizations. The entrepreneurial bug was dormant inside me and I always wanted to do something on my own. I think, the turning point was while working with Dexler, which was run by a guy who had just got out of an engineering college and was running a very successful company. That made me realize that if he could do it I could do it too. I felt I wanted to build something, which had social value (as I deeply believe that one must be guided by social obligation). That led to the start of my journey as an entrepreneur. We have a stellar team of 70 and counting! We have Product Management, UI/UX, EdGELabs, Devops, Sales and Marketing, Analytics and Testing functions as distinct contributors with finance and HR to boot. 4. How do you leverage AI and Data Science to transform businesses in the era of digitally driven HR? What are the business opportunities in your sector? At EdGE, AI coupled with Data Science and Analytics forms the very base of our product offerings. While our product and solutions are based on some of the most cutting-edge technologies, we have also worked towards creating a responsible and agile organization that is ready to partner with customers to build game changing HR tech solutions. HIREalchemy is our innovative Talent Acquisition Product that enables the search, rank and recruitment of talent with amazing ease and accuracy. Our Talent Analytics Suitehelps in predicting attrition, forecasting resource demand and more – enabling fact-based decision making across the HR value chain. Our Workforce Optimization Solution forms the intelligence layer on top of HR systems and helps effective organization building. With our Talent Transformationtool, we help develop and transform talent to maximize employee potential and drive business growth. Using artificial intelligence and data science, we read and understand employee profiles, recommend relevant career path and open internal jobs based on skills and past experience. The platform determines any gap between aspired career and current profile and also suggests appropriate learning path to bridge the skills gap. We cater to a wide array of clients including Wipro, HCL, Virtusa and more. Our products and solutions have a layer of analytics built into them which allow us to measure the business impact juxtaposed with data shared by client. We have impacted both revenue and profits of the company resulting from improved time, cost and accuracy of talent management. Some of the benefits include: 20-40% Cycle Time Reduction; 4 times increase in supply visibility; 36% increase in allocation via Project Manager; 51% reduction in allocation failures; 33% improvement in fulfilling external requisition with internal people; 28% conversion rate from recommendation to actual joinees; 100% resume/profile coverage. Our solutions help HR specialists fight challenges such as filtering CVs, ineffective screening methods, low ROI from job portals, increased cost due to external hiring, low quality resume, incorrect visibility of complete workforce, limited movement of talent from one domain to another, to mention a few. We help organizations hire human capital in a smarter, faster and more accurate way with our automated search and download and scored and stack ranked resumes. EdGE’s workforce optimization solution helps organizations reskill and reassign human capital efficiently based on business needs. An efficient workforce management approach combines demand generation, skills repository, talent acquisition, allocation, learning and analytics to deliver robust talent connect. This is what we deliver in EdGE – an end-to-end AI driven solution for workforce transformation. We start with enhancing internal supply visibility through a robust skills repository enabling internal fulfillment and reducing cost incurred in external hiring. We help create intelligent job descriptions with appropriate keywords, lack of which is one of the key reasons for inaccurate resume matches. From working with some of the brightest entrepreneurs to being an entrepreneur myself, the journey has been full of great learning experiences. I have learnt some of the greatest values and conditions to be a responsible and successful entrepreneur from my previous bosses and mentors. I have realised what matters most, recognized what perseverance, patience and focus mean in the true sense and built relationships which will last a lifetime. It’s been a marvellous experience working with fine professionals, building a company and solutions that will truly deliver great value to companies in India and across the world. 6. What are the challenges faced in your journey as an entrepreneur? We began our journey by competing against the Oracles, Microsofts and LinkedIns of the world to acquire the intelligent hiring and workforce optimization business in one of India’s largest IT company. We almost failed as we had no customer reference and many sceptics (for good reason). If we had failed in that attempt, we might not have been around as one year of burn is significant for a start-up. Another challenge that comes to mind was investing too early in a sales team and assuming the market was ready for the package we had. So we realized, timing of your hiring is critical, cash flow and cash in the bank are critical; these are all valuable lessons we are learning from the challenges we faced. Scaling a business is an area of challenge for most start-ups. With scale comes product decisions, team size, quality and timing decisions and more. But, we are lucky to have a dedicated and motivated team that believed in building great solutions, working with customers to deliver results and never giving up! Product innovation has always been critical for us and we were lucky to have customers like Wipro and HCL to develop our products riding on them. While we started off as a search and match engine using technology like AI, data science, analytics, NLP, etc., – many of our solutions today are the result of our clients’ additional requirement in the HR space. The next few years will be very exciting in our journey as we plan to enter different domains and geographies. We believe, we have a great opportunity to build the intelligence layer across legacy HR systems that can’t be replaced. Also, to replace systems that have workflows that are soon being built with a better experience across our platform; these could be the HCMs and the ATS’ of the world. We are looking at expanding our footprints in the global market through our UK expansion in the next few months. We had won the Deloitte-MIDAS awards in December 2016 and UK’s India Emerging Twenty (IE20) Awards by London & Partners recently, which will catalyse in our expansion plans further. We were also selected as one of the six Indian AI start-ups for the Google Launchpad Accelerator program (batch 4), via which we expect to make our mark in the USA too. The dream of building a great product company out of India is what keeps me going! Make in India, sell to the world – our quest is to build a data science based approach to hiring that really sits at the cusp of AI to disrupt the hiring and allocation process. 9. What are your messages for budding entrepreneurs/young generation? In a world where change and uncertainty are two givens, most organizations are looking for agility in talent. A person with a high level of responsiveness and willingness to take on newer and bigger challenges will be better equipped to face the uncertainties in a corporate setup. This trait is greatly valued and desired today, in start-ups and large organizations alike. My advice to budding entrepreneurs and youngsters is to keep brushing up their skills to remain relevant and on top of their game and to try and bring in innovation and out-of-box thinking in their approach to work.